revised mount at the AMNH. Photo by the author. Here's one more post to commemorate the revival of the name Brontosaurus for the beast formerly known as Apatosaurus excelsus. 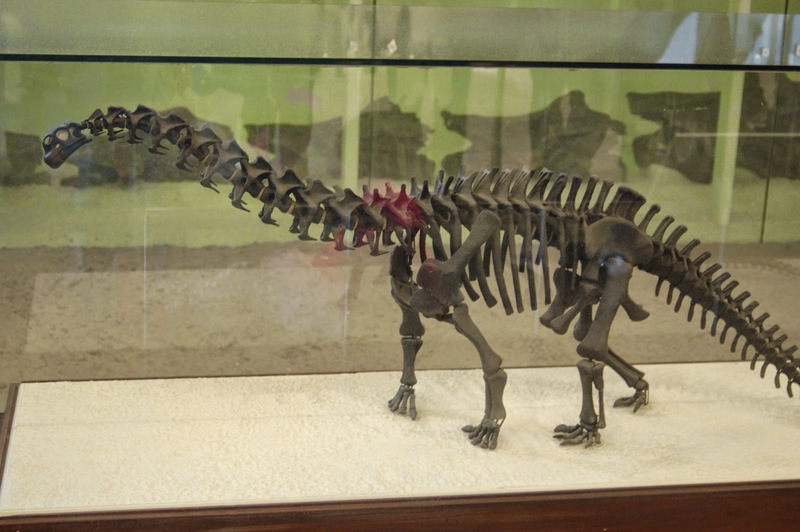 As I mentioned in my last post, the mounted skeleton of the so-called "Nine-Mile Quarry Brontosaur" at the American Museum of Natural History, while it may or may not actually be a Brontosaurus, is probably the most iconic version of this animal, overshadowing even the archetypal brontosaur skeleton at the Yale Peabody Museum. This is in no small measure thanks to the efforts of problematic Hitler enthusiast and highly successful paleontology promoter Henry Fairfield Osborn. Osborn became the first curator of the Vertebrate Paleontology department at the AMNH in 1891 and quickly rose to prominence, becoming the president of the museum in 1908. Osborn worked quickly to create a world-class collection of dinosaurs for the museum, both launching his own expeditions to collect fossils for display and making significant trades and acquisitions, such as the collections of E.D. Cope. Brontosaurus excelsus - the triumphant return. By M. Martyniuk, all rights reserved. By now, anybody who's interested in paleontology, and their mother, and their great uncle, have probably heard the news: Brontosaurus is back! Of course, the more technically minded paleo fans will know that Brontosaurus never actually went anywhere. Ever since its first specimen was studied in 1879 by Bone Warrior O.C. 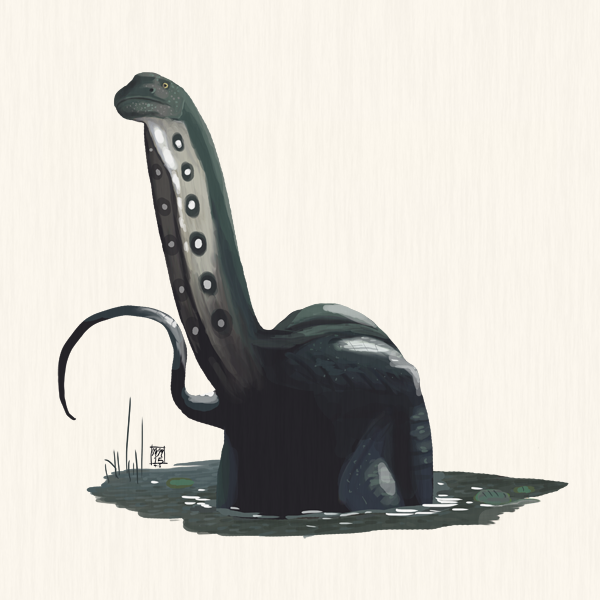 Marsh, paleontologists have agreed that the species Brontosaurus excelsus* was unique among sauropods. The question soon became, however, exactly how unique. In 1903, Elmer Riggs decided that it was similar enough to another sauropod species, Apatosaurus ajax, that they should both be placed in the same category of sauropods, and since Apatosaurus was an older category ("genus") name than Brontosaurus, he reclassified the species as Apatosaurus excelsus. However, it was clear even to Riggs that Apatosaurus excelsus and Apatosaurus ajax were different species, and the decision to "lump" them together into one category was always subjective and non-scientific - these kinds of things are a matter of taste only.